Stand out with these contrast eco jute bags. The contrast jute bag is an Eco friendly way to increase brand awareness and impressions. With an on-trend style and large print space they make your logo very noticeable, especially with a white print. 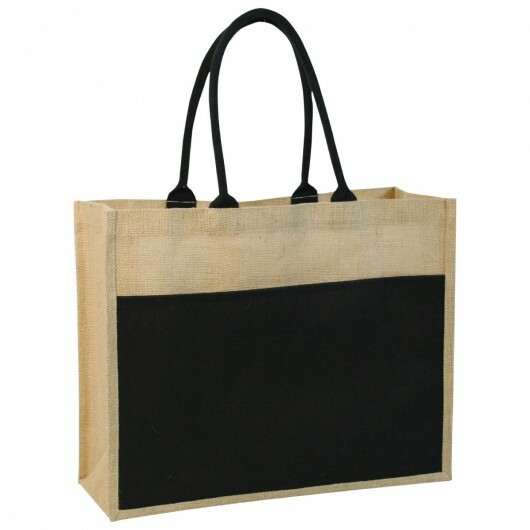 The bags have a cotton front pocket, long reinforced rope handles and are made from 100% natural heavyweight jute material.